A master of both the art and science of community association management, Denise Hogenes serves as CCMC vice president for the Mountain Division, overseeing several CCMC communities in Colorado. She is known for her professional poise, proactive communication, and expertise in policy and procedure implementation. Equipped with more than a decade of experience and her M.S. degree from Colorado State University, Denise has the ability to turn complex organizations into well-oiled machines. She is recognized as a Certified Manager of Community Associations (CMCA) by Community Association Managers International Certification Board (CAMICB) and holds the Association Management Specialist (AMS) and Professional Community Association Manager (PCAM) designations from Community Associations Institute (CAI). As a member of the Rocky Mountain Chapter of CAI, Denise has served on the fall conference committee and as chapter spokesperson. She is currently as an active member of the Urban Land Institute’s Colorado’s Community Development Product Council and has served the council by conducting current trends in community management presentations. In 2015, Denise was selected as a keynote speaker at the Housing Leadership Summit. 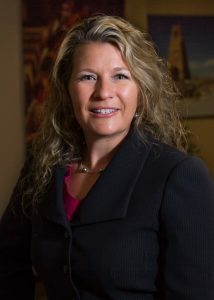 Denise joined CCMC in 2008 as community manager for Anthem Highlands, Colorado. Under her exceptional leadership, the community was named 2010 Community Association of the Year by the Rocky Mountain Chapter of CAI. In 2011, she was promoted to community manager for Anthem Ranch, an active adult neighborhood in Broomfield, Colorado. Once again, the community in her care would be named 2013 Community Association of the Year by the Rocky Mountain Chapter of CAI. In 2013, Denise was named CCMC director of client fulfillment for the Central Division. In this role, she was responsible for the training and development of eight community mangers and their teams. Her goal was simple: build teams that can deliver the country’s highest quality community management, amenity services and lifestyle programming. Prior to joining CCMC, Denise served as recreation facilities manager for the city of Lafayette, Colorado. There, she gained a dedication to superior customer service, passion for recreation programming, experience in community development, and commitment to facility excellence.